For the Orion/Orion II owner who loves DX and contesting, the new Model RX366 High Performance ASR Sub-Receiver ($639 US) will be a serious upgrade to the existing sub-receiver (read John Henry’s description below). The Model 717 ($119 US) will allow you to connect new dynamic microphones to older rigs that required a higher microphone input level such as from an electric mic element. While the Model 318 Amplifier Key Interface ($89 US) may not appeal to the QRPer, it certainly will be of benefit to folks who want to hook up an old linear amplifier to one of TT’s newer rigs. Back at the 12th annual Hamfest, TenTec announced several new products that we would have in production, for sale, late 2011 and early 2012. Model RX366 High Performance ASR Sub-Receiver for the Orion Model 565 and Orion II Model 566. This is a new contest grade second receiver for the 565 and 566 Orion series of transceivers. This new second receiver uses ASR (Advanced Signal Reception) technology like what is already a proven winner in the Eagle to provide a great enhancement to the rig. The RX366, requires the new V3 Orion 565 and Orion II 566 firmware. With V3 installed and the RX366 installed, the Orion(s) now have vastly superior performance to the original sub-receiver in terms of immunity to interference from adjacent strong signals and immunity to overloading from very strong signals present on the band. Your Orion 565 and Orion II 566 have never worked so well before. Model 717 – Microphone Equalizer / Audio Interface. The 717 will allow you to connect new dynamic microphones, such as the Regal Model 707 Desk Microphone to older rigs that required a higher microphone input level such as from an electric mic element. The unit works with Icom, Yaesu, Kenwood as well as older Ten-Tec transceivers using 4 or 8 pin circular microphone connectors. Now you can use the rally cool Regal Model 707 Microphone with an older Ten-Tec rig such as an OMNI-VI. You can tweak the actions of hi and low frequencies to meet your needs. 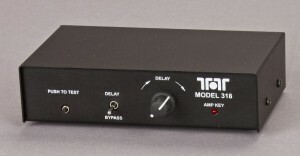 Model 318 Amplifier Key Interface. The 318 will allow you to dial in a delay when you connect older linear amplifiers to your transceiver. This will be useful if the amplifier is not designed for full break-in. An excellent seamless add-on for Eagle users who want to adjust the transmitted output to work with older amplifiers. Adaptable to almost any transceiver. Note: V3 firmware for the 565 and 566 is in the process of getting bundled up and placed on the internet. Estimate for V3 release and posting is by 5pm EST Tuesday. 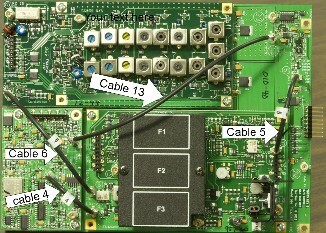 This entry was posted in Announcements, News, Product Announcements and tagged Ham Radio Product Announcements, QRP Products, Ten Tec Product Announcements, Ten-Tec, Ten-Tec Model 318 Amplifier Key Interface, Ten-Tec Model 717 - Microphone Equalizer Audio Interface, Ten-Tec Model RX366 High Performance ASR Sub-Receiver. Bookmark the permalink.